The daunting task of refacing the side that crushed them with a 9-1 Scottish Cup defeat just last weekend lies in store for Vale of Leithen tomorrow. Despite taking an early lead, Vale were 6-1 down by half time at EK Park before conceding a further three goals in the second half. That was just the tip of the iceberg of East Kilbride’s impressive form, with Martin Lauchlan’s team having won every competitive match this season. In the league, they have won eight from eight, scoring 29 and conceding three. That has left them four points clear in first with a game in hand at this early stage. Clearly, losing to the runaway leaders carries no shame, but shipping nine goals at any level is never welcomed. Vale will be looking to put that behind them and get back to the football that has them in 6th place. Chris Anderson said: “Everyone was disappointed after last week’s performance and the players know they let themselves down. Vale will have new signing Brad Raiker available for the match which kicks off at 3pm at Victoria Park. Vale last night secured the signing of Bradley Raiker on a loan deal from Spartans. The 21-year-old can play at right back or in midfield and joins a growing list of Vale players with Spartans connections. Raiker joins teenager Ross Lamb who signed from Gala Fairydean Rovers and has featured in the match day squads against Creetown and East Kilbride. Upon hearing that a fixture re-scheduling has meant that Vale will take on East Kilbride again on Saturday after last week’s 9-1 thumping, everyone connected with the club would have been forgiven for letting out a collective groan. But manager Chris Anderson prefers to look upon it as an opportunity to rectify a sub standard performance, and for his team to show what they are really about. They had been going well up until that match and will be looking to put the disappointment of being out of the cup to one side and try to maintain their status in the upper reaches of the league. The EK Park men were heavy favourites for the tie, but not many would have predicted an eight goal deficit against a team just a few league places below them. Anderson explained: “Everyone was disappointed after last week’s performance and the players know they let themselves down. Civil Service Strollers were scheduled to visit Victoria Park this weekend, but their draw with Hawick Royal Albert in the Scottish Cup means they have to replay the tie. Hawick were supposed to play East Kilbride, so with the two sides free the fixture was scheduled. Bouncing back from such a heavy defeat can be difficult mentally, but to have to prepare yourself to take on the side that defeated you just seven days later must make the feeling multiply. The Vale squad seem to be made of tougher stuff though, and ‘Ando’ sees a group of players ready to fight. As a result of Civil Service Strollers’ Scottish Cup replay against Hawick Royal Albert this Saturday, we have had our fixture changed. We will now play a league match at home to East Kilbride on this date. 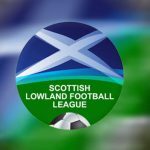 The trip to South Lanarkshire presents Chris Anderson’s men with a colossal challenge as they bid to reach the second round of the Scottish Cup. 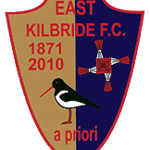 East Kilbride sit top of the Lowland League while boasting eight wins from eight matches and a goal difference of 26. They will also be hoping to emulate the heights they reached last season when they reached the fifth round by beating Forres Mechanics, Stenhousemuir and Lothian Thistle Hutchison Vale before putting up a good fight against Celtic, losing 2-0. Vale though will go carrying a belief stemming from their own league form. They are only four places behind Kilby in the table and are riding the wave of four wins on the trot. Anderson said: “We have nothing to lose – nobody is expecting us to win. You only have to look at the league to see how well they are doing. This will be out toughest match so far this season but it’s the Scottish Cup so we’ll still go there and enjoy ourselves. Anderson has a full squad to choose from for the K Park clash, which kicks off at 3pm.